The majority of malpractice lawsuits stem from a physician’s failure to actively diagnose a condition or to diagnose it in a timely manner. Attorney Dennis W. Potts can explain the legal complexities of a misdiagnosis. A misdiagnosis can lead to improper treatment, costly delays in addressing an illness, or lack of treatment for something that could reasonably have been made less damaging with proper care. Any of these factors can lead to significant damage, a worsening of the condition, or death. However, when determining claims for compensation, the existence of an inadequate diagnosis alone is not enough. There must be evidence that the doctor or facility failed to live up to industry standards when performing the tests or administering treatment. While doctors are not legally responsible for all diagnostic errors, some may be a source of liability if certain conditions are met. For malpractice to have occurred, a doctor-patient relationship must have been established, the doctor diagnosing or administering treatment must have been proven negligent, and said negligence must have directly caused discernible harm to the patient. The presence of negligence, and harm that results, are the two primary factors for most malpractice claims, and therefore must be firmly established before compensation can be warranted. In general, the key determining factor in deciding negligence is whether the doctor acted competently for his or her position. Assessing this involves examining the steps the doctor did and did not take during the diagnostic process. If a doctor in a similar field could have reasonably diagnosed the issue properly, a form of negligence can likely be established. A doctor who included an incorrect assessment in the diagnostic list, where another competent doctor would not have, has possibly been negligent. 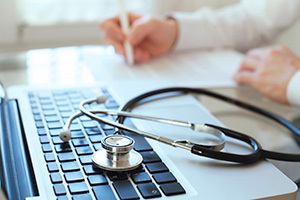 Moreover, if the correct diagnosis was included in the patient’s information but improper steps or no steps at all were taken for treatment or further examination, this could also determine liability. Incorrect diagnosis. Known also as misdiagnosis, this type of diagnostic error occurs when a physician determines an incorrect illness is causing a patient’s issues. An incorrect diagnosis can lead to improper treatments, delay in helpful care, or harm resulting from unnecessary medication. Delayed or missed diagnosis. A delayed diagnosis is one in which the correct illness is eventually determined, but the delay has been significant enough to cause harm. Missed diagnosis, however, is when an illness is overlooked entirely and the sick patient is sent home being told he or she is completely healthy. Lack of diagnosis of related or unrelated disease. A doctor who diagnoses one disease but fails to look for additional diseases, whether related or unrelated, may demonstrate negligence. Certain illnesses bring an increased capacity for further sickness, and it is the diagnostic physician’s responsibility to recognize and evaluate these risks. Once a failure to properly diagnose an illness has been established, it must be proven that the affected patient suffered harm as a result. For the doctor to be liable, the injury or condition must have progressed and resulted in harm to that patient due to his or her lack of medical competency. For instance, a person undergoing treatment for cancer who was diagnosed late may be subject to additional treatments and medical costs. In this instance, he or she would likely be entitled to some form of compensation if the diagnosing doctor was negligent in his or her practice. Contact the Law Office of Dennis W. Potts at (808) 535-4575 to see if you have a medical malpractice claim for failure to diagnose. His years of experience will ensure your case is handled by one of the most skilled and competent lawyers in Hawai’i.